Planting Garlic works best if you do it in the fall. It is very easy to grow and gives you bulbs to use in cooking for much of the year. Be sure to get the heads for planting from a reputable supplier. There are many types members of the allium family. Garlic is one of them. Find out about the onion varieties here. 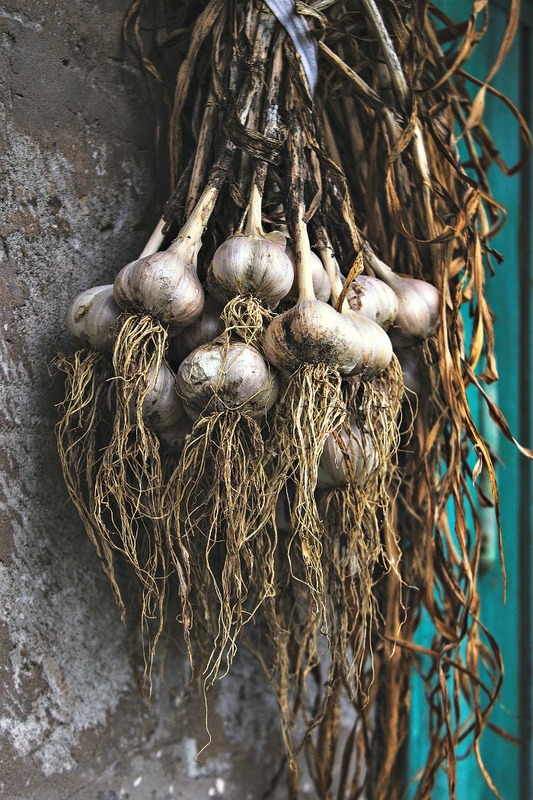 Learn how to plant, grow and harvest garlic. This useful kitchen plant is trouble free in the garden, and my guide takes the guesswork out of growing it. Planting garlic cloves from the store will likely not grow, since it is often treated with chemicals so that it will not sprout. If you follow these tips, garlic will be the start of your vegetable gardening projects. Garlic cloves can be grown outside in the ground or in pots on a patio. It is unlikely that cloves grown as an indoor plant will grow to maturity, since they won’t get the required cold period and sunlight needs. 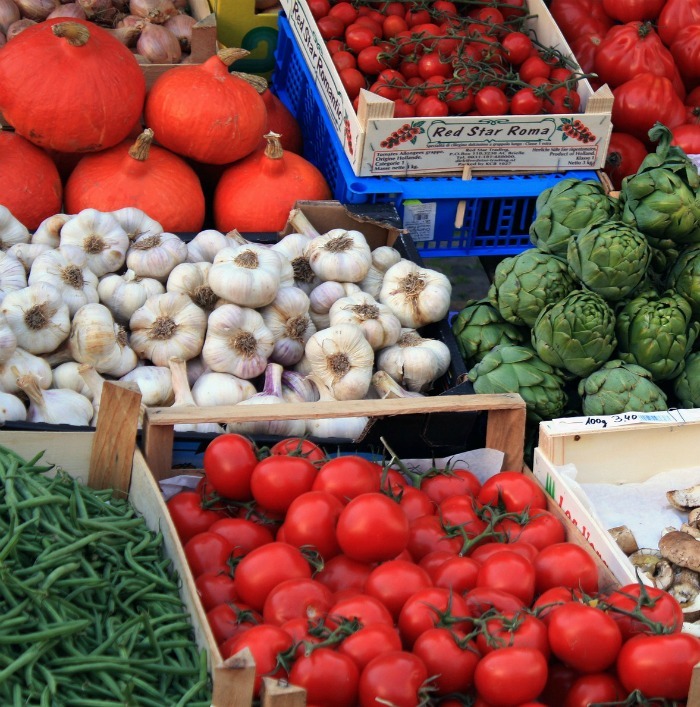 Even though normal garlic from the store likely won’t sprout, organic garlic is a good option. It is not only great for cooking but can be planted to grow more garlic for your needs. You can buy garlic for planting from organizations like Seed Savers who sell organic and heirloom garlic bulbs. Local Farmer’s Markets will also have a host of farmers who sell organic garlic which can be used to grow in your garden. If you are buying from a retail company, look for one that specializes in garlic for your cold hardiness zone for best results. Occasionally I read about growing from garlic seed. Even though growing garlic is very easy, growing it from seed is hit or miss and unlikely to work. Garlic doesn’t usually set seed and when it does it’s not used for propagation. Most garlic is grown from cloves. hardneck – ophioscorodon – These do best in cooler climates but have a shorter shelf life – about 5-7 months. and softneck – sativum – These do better in warmer climates and have a longer shelf life of about 9 months. The most obvious difference between the two types is their appearance. Hardneck garlic is named because of the long flowering stem which grows from the center of the bulbs. This is called a scape. Hardneck garlic will produce between 4 and 12 cloves, depending on type. 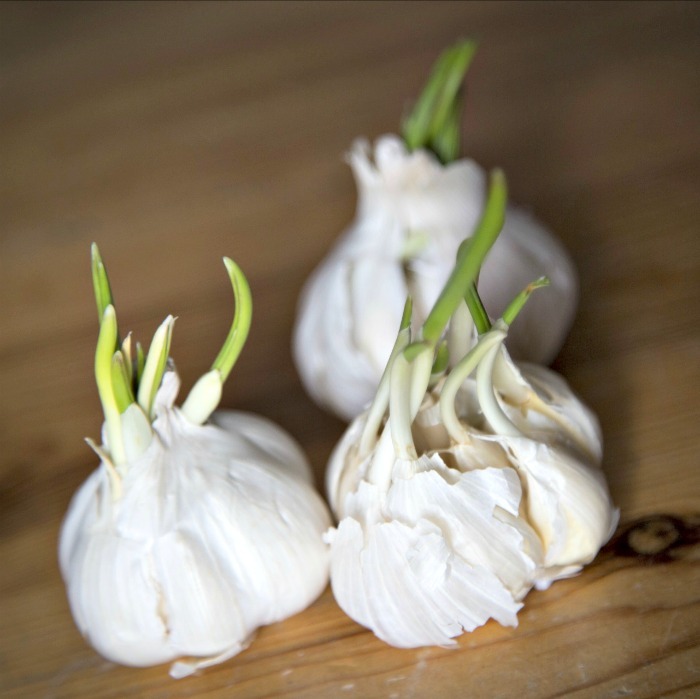 Softneck garlic produces a larger bulb with more cloves – between 8 and 20 per bulb or even more. They are irregular in shape and has no flowering stalk. You may also wonder about Elephant Garlic. This bulb is more closely related to the leek. It has a similar flavor to garlic but without the sharp bite that garlic has. Garlic is one of the easiest and most trouble-free crops that you can grow. These tips will show you how to grow garlic, starting from when to plant, how to plant and how to harvest the garlic you grow. All of the instructions below for planting garlic outdoors apply to garlic grown in containers. Be sure that the container is at least 18 inches deep and 12 inches wide, and position the container so that it gets 6 hours of sunlight at a minimum each day. Timing is critical for garlic planting time. Planting garlic in the fall gives the best flavor and size of bulb. It’s best to get it into the ground about 3-8 weeks before the ground freezes. After you have purchased your garlic for planting, keep the bulbs intact until you are ready to plant them. For fall planting in most areas of the USA, it is recommended that you plant in late autumn. This means that most of us will get our cloves in sometime between Columbus Day and Halloween. If you love farther north, you will want to get your cloves into the ground earlier in the fall to give them longer to grow before the first frost. While fall planting of garlic is best, if you wait too long to plant it and your weather gets too cold, you can also plant it in the very early spring as soon as the ground can be worked. Spring planted garlic is less flavorsome and produces smaller bulbs than fall garlic does. If fall planting for garlic is better, what about planting garlic in summer, you may ask? This is not a good idea, because you do not want to get growth going before the long cold spell that winter will provide for your plants. Be sure to keep an eye out for weeds during the growing season. 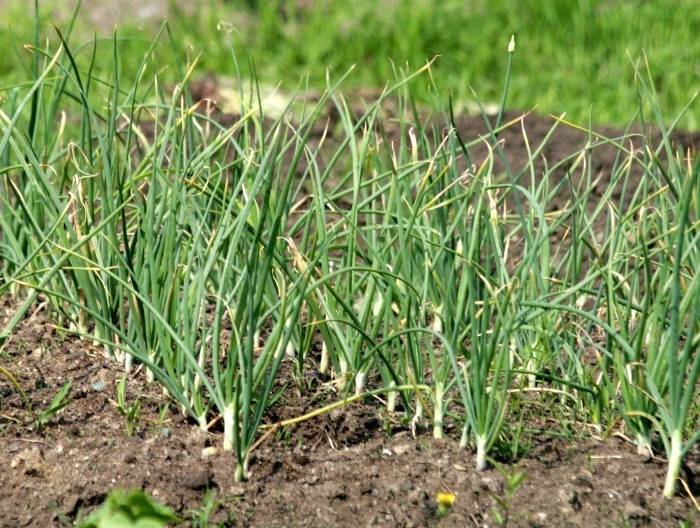 Garlic, just like most vegetables, does not like to compete with weeds while growing. The first step in planting garlic is to separate the garlic head into individual cloves. Remove the outer layer of skin but leave the papery skin on the cloves for protection. Make sure that the soil is as weed free as possible. Winter is a notorious time for weeds and the garlic will be growing during that season. Give it a good start by doing some weeding now. 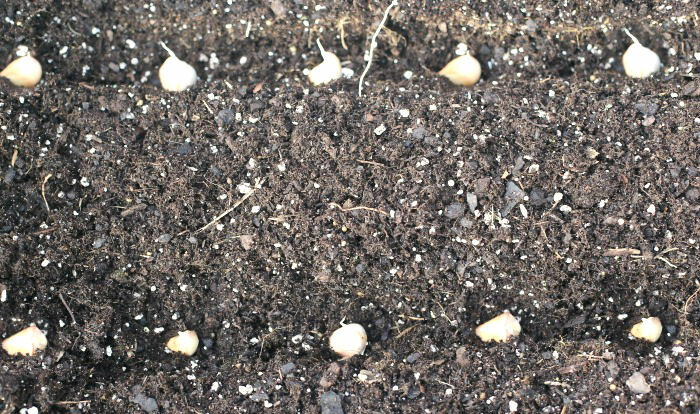 Free draining soil with lots of organic matter is best, but garlic will grow in most soil types. Be sure your soil is rich (amend with compost for best results) and the soil should also drain well. Space the cloves about 4 to 6″ apart in rows that are spaced about 6-10 inches apart. Don’t plant too closely together. If you do, you’ll get more plants but the heads and cloves will be smaller. Push each clove firmly about 1-2 inches deep into the ground, and cover the cloves with soil. The last step is to water the soil if it is dry. 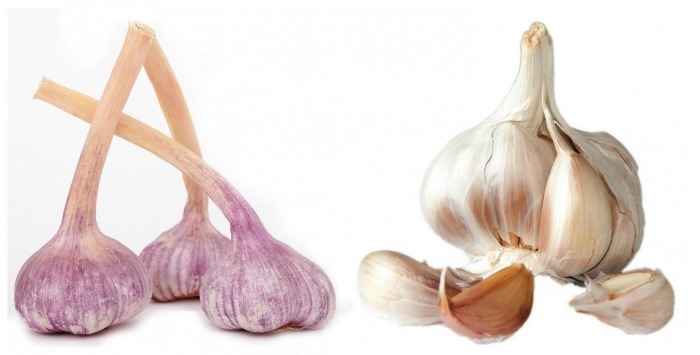 Like all plants, garlic has specific needs to perform at its best. It grows in conditions similar that that of onions, since it is a member of the same family – alliums. Garlic growing does best when the plant will receive at least six hours of direct sunlight each day. 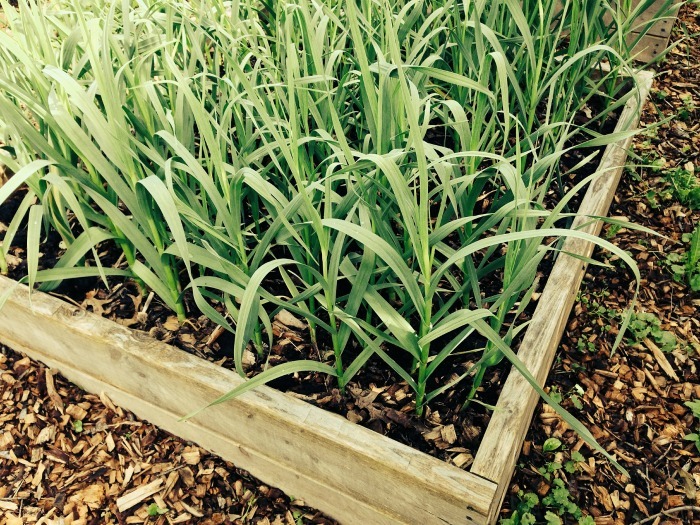 If you live in colder climates in the Northern part of the USA, it’s a good idea to put down about 6″ of mulch or straw on your planted garlic for winter protection. Mulch will help to make sure that the garlic roots won’t be pushed out of the ground through periods of alternating freezing and thawing. Mulch is also useful in warmer climates for helping to control the growth of winter weeds. The plants should be watered regularly until the winter weather starts to keep the ground evenly moist. When the plants start growing again in early spring, give them about 1 inch of water a week until the leaves start to go yellow. At this point, stop watering to allow the bulbs to become firm. The growing season for garlic is quite long and can take up to 210 days for the bulbs to mature, depending on the variety. Proper fertilization of the plant is important. Garlic is a very heavy feeder. It’s important to fertilize it right from the first stages. I do this by making sure that the soil is well amended with organic matter such as compost, or manure. After this initial feeding, if you planted in the fall, you can wait until spring to continue feeding the plants. The best fertilizer for garlic plants is high in nitrogen. Work fertilizer down the sides of the plants and about 4 inches away. Do this monthly until you get ready to harvest. Bone meal – also known as phosphate rock, is helpful in growing garlic by supplying both calcium and phosphorus to the plant. Both are useful for any root crop. As the size of the garlic crop increases, so does its need for phosphorus. The leaves of garlic plants start out with very straight shoots. Some varieties look almost like spring onions when they first start growing since the shoots of hard neck garlic are quite narrow. As the plants grows, the tops will start to curl. These curled tops are called “garlic scapes” and are fragrant and edible, just like the cloves are. 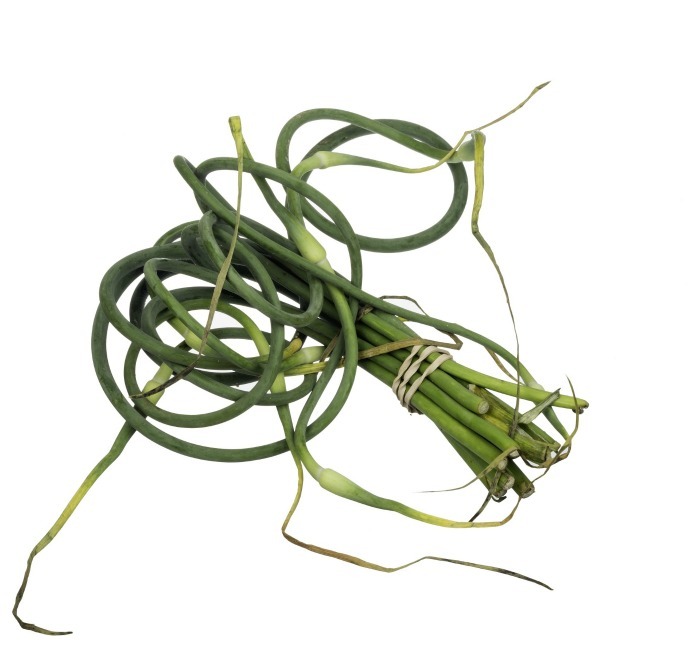 It is a good idea to cut off the garlic scapes, since they will divert the plant’s energy if you leave them and this takes away from the plumpness of the bulbs. Garlic scapes start to form a month or so after the first leaves appear. Use them to flavor salads and to give a mild garlic flavor to cooked dishes. To reach full maturity, garlic needs a period with cool temperatures. Under the right conditions, garlic will usually take about eight to nine months to mature. Because of the long growing time, cloves planted in the fall will grow through the winter and spring and be ready sometime next summer. These tips will help with harvesting the garlic once the bulbs have matured. Garlic is ready to harvest when most of the leaves have started to turn brown. This often happens in the middle of summer. (mid July to August, depending on your zone.) Don’t wait until all the leaves are brown, or the cloves may already be separating. It’s best to harvest when the lower leaves are starting to go brown, but the top 5 or 6 are still green. To harvest garlic, dig up the bulbs, being careful that you don’t bruise them. Leave the stems attached to the bulbs but separate them gently. Don’t leave them too long in the ground, or the cloves may start to separate. Just loosen the soil with a garden shovel or fork and then dig around the garlic cloves carefully. Don’t pull on the stems to pull out the bulbs (unless you have dug around the bulbs to loosen the soil) or they will pull off the bulbs. 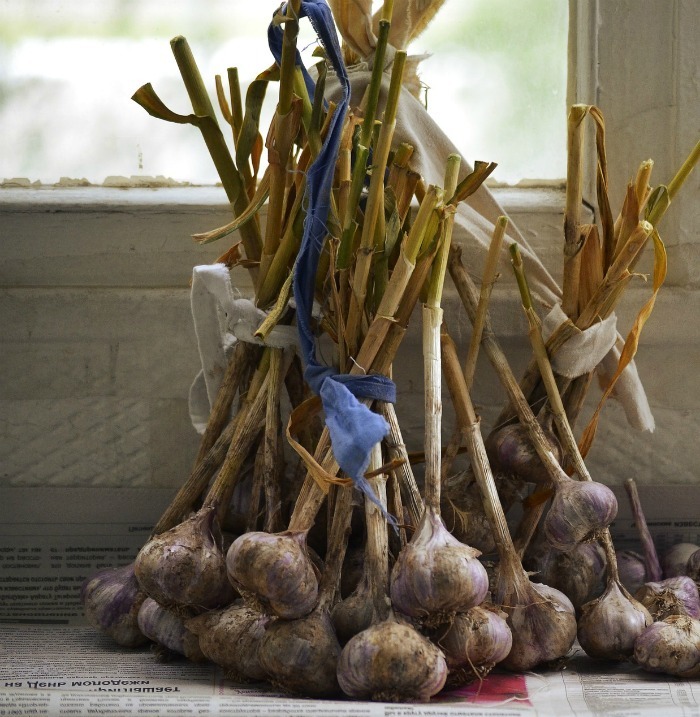 Gently brush the dirt off the garlic bulbs and tie the plants in a bundle of 6-8 plants. Allow them to dry for several weeks. You can also lay out the garlic bulbs and allow them to dry for 2-3 weeks in a shady spot. Protect them from rain. IF you allow the bulbs to get wet, the heads won’t last as long. Store loose bulbs in a dry and cool place with good air circulation. Baskets work fine. Another technique is to braid the stems and hang the braids of garlic to dry. Leave plants hanging for 4-6 weeks so that bulbs can cure. 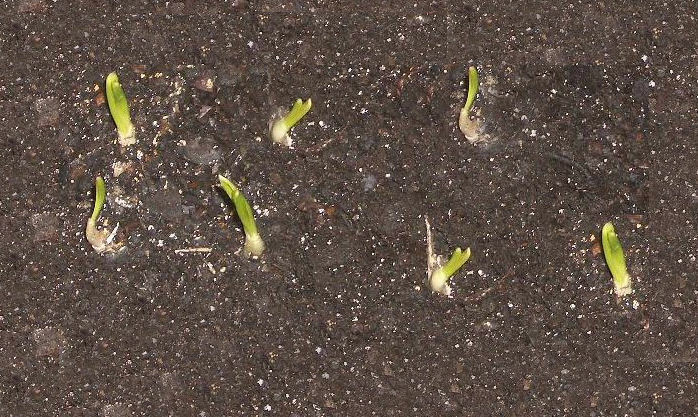 Sometimes garlic will sprout in your kitchen. If you notice this, use the bulbs soon. Planting sprouted garlic cloves is also possible. They will not grow new cloves, but can be used to grow garlic greens for an indoor plant. They are milder than garlic but make a really great garnish. 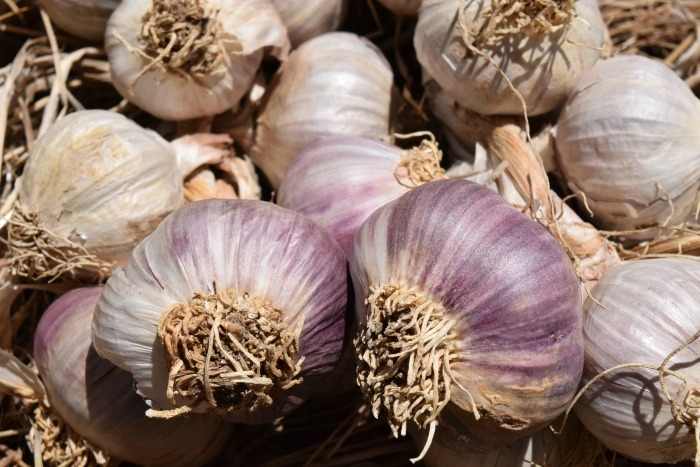 I have tried to cover most of the tips for growing and planting garlic but these are some questions that I often get asked by readers. Does planting garlic keep bugs away? There many plants, and herbs that will do a pretty good job of keeping pests away from other plants in your garden. Garlic is one that is thought to work well in this regard. Many gardeners believe that garlic (as well as leeks, shallots and onions) will protect roses from aphids if planted nearby. 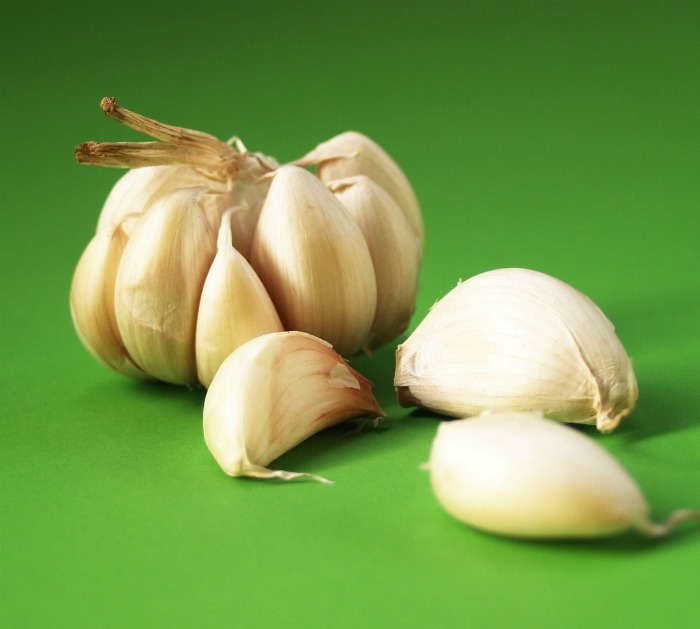 Garlic is also thought to repel Japanese beetles, spider mites, fruit tree borers and weevils. Mosquitoes seem to dislike the smell of garlic and stay away from planted areas so it could be a good idea to have some planted near by if they are a problem for you. Will planting garlic keep deer away? It does appear that deer do not like the odor of planted garlic and will keep clear of areas planted where it is planted. Will garlic grow in the shade? Garlic needs a lot of sunlight to grow well. It might tolerate partial shade in very warm climates, as long as it is not for very long periods during the day or for much of the growing season. Garlic is treated as an annual and the entire bulb is uprooted and used, so new cloves must be planted each year to have a continual supply of it. I have read of techniques for treating elephant garlic like a perennial but this is generally not the way that it is grown. If you grow hardneck garlic and have not removed the scapes they will eventually turn into a flower of sorts. However, the plant will then direct its energy into keeping the flowers alive, rather than growing the bulb, so it is suggested to remove the scapes before flowering. If you would like a reminder of this post for planting garlic, just pin this image to one of your gardening boards on Pinterest. Here is a handy YouTube Video showing how to plant garlic. 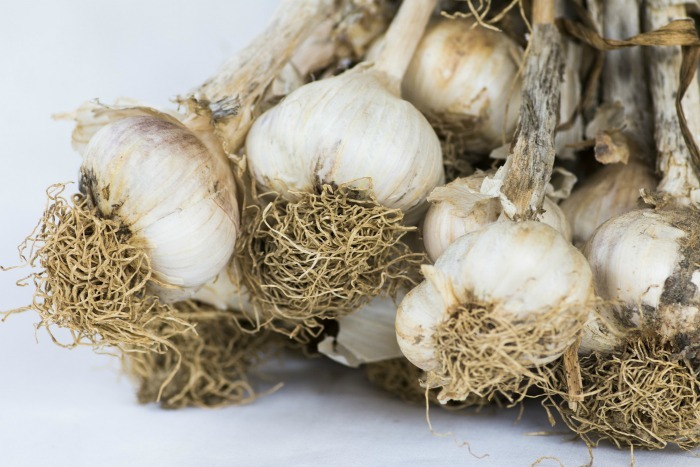 If you cannot find garlic suitable to try and grow your own locally, Amazon has several vendors who have garlic cloves suitable for growing for sale. Have you ever tried planting garlic? Please let us know how you did with it. Admin note: This post first appeared on the blog in December of 2012. 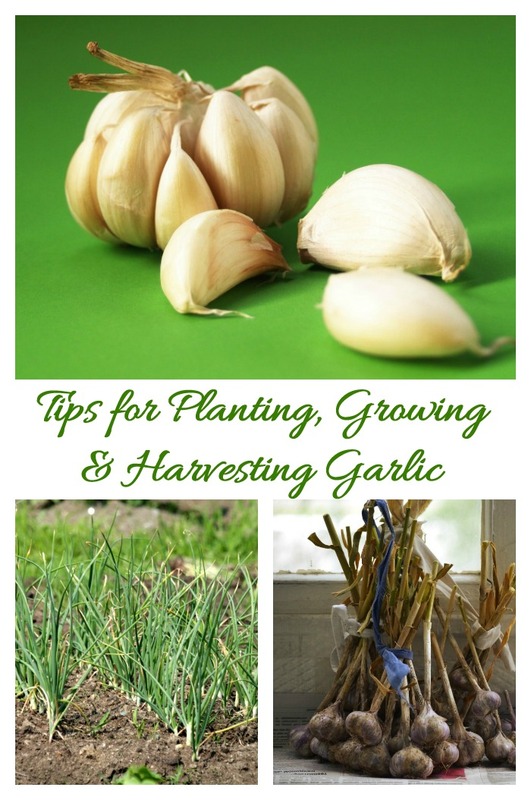 I have updated the post to add a video and give more information on growing garlic and also tips for harvesting garlic.